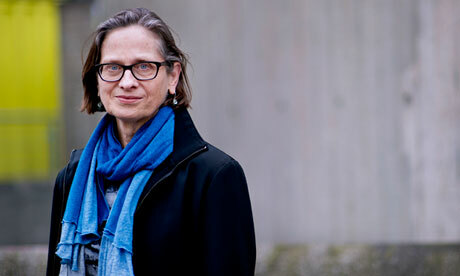 Big rejoicing: Lydia Davis has won the Man Booker International prize. Never did a book award deliver such a true match-winning punch, rather like one of Davis's ingenious, playful, formally inventive and unexpectedly powerful (for their size) short stories might. Best of all, a new audience will read her now and find her wit, her vigour and rigour, her funniness, her thoughtfulness, and the precision of form, which, even among short-story practitioners known for these qualities, mark Davis out as unique. In the UK at least, until the 2010 publication of her Collected Stories (Penguin), it was quite hard to track down copies of her four collections: Break It Down (1986), Almost No Memory (1997), Samuel Johnson Is Indignant (2001) and Varieties of Disturbance (2007), though a couple of these and a lone novel, The End of the Story (1995), were published in the 90s by Serpent's Tail. She was hard to find, but held in such regard among those who read her that from the beginning she had the reputation of being a writer's writer. But she's such a reader's writer, this daring, excitingly intelligent and often wildly comic writer who reminds you, in a world that likes to bandy its words about, what words such as economy, precision and originality really mean. It's all about how you read and about the reflorescence of what and how things mean with Davis, who works in an understated, concentrated way and in a form that usually slips under the mainstream radar. So look again, because this is a writer as mighty as Kafka, as subtle as Flaubert and as epoch-making, in her own way, as Proust. As a translator, she has recently produced magnificent English versions of classics by the latter two, but it's the short-story form that she's made her own, and even changed the potential of, over three decades of honing a style whose discipline is a perfect means of release of hilarity, myth, merciless sharpness, and, most of all, of a celebration of the thinking, vital, fertile mind. A two-liner from Davis, or a seemingly throwaway paragraph, will haunt. What looks like a game will open to deep seriousness; what looks like philosophy will reveal playfulness, tragicomedy, ordinariness; what looks like ordinariness will ask you to look again at Davis's writing. In its acuteness, it always asks attentiveness, and it repays this by opening up to its reader like possibility, or like a bush covered in flowerheads. She's a joy. There's no writer quite like her. I've not heard of her, but this has certainly garnered my interest.